Being an effective communicator requires much more than simply being comfortable in front of an audience and sharing good content. Every dietitian speaks to an audience at some point — whether it is for the public, your peers or in meetings. With an emphasis on presentation skills, this webinar will help you take your communication skills to the next level by learning simple strategies to help you get organized, save time, share evidence-based information, let your personality shine through, and empower your audience to take action! Discuss the importance of effective communication and how these skills can be transferrable to a variety of communication methods (media, social media, presentations, writing, networking, etc.). Integrate the confidence and tools needed to enhance existing communication skills, with an emphasis on presentation skills, and exceed audience expectations including content, delivery and participation. Construct objectives and content that are relevant to your audience and are supported, concise, simple, actionable, positive and memorable. Prepare main points to convey in a compelling way using storytelling, visuals, and an inspirational call-to-action. Utilize a ‘check list’ to enhance preparation and audience feedback and engagement. 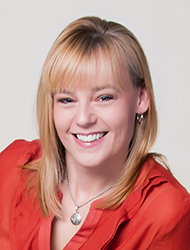 Melissa is an accomplished speaker, media trainer and podcaster. She has extensive media experience as a spokesperson for the food, grocery and healthcare industries, and received the 2016 Academy of Nutrition and Dietetics’ Media Excellence Award. Melissa specializes in training other dietitians on media, social media and presentation skills. Her trainings have a particular emphasis on creating and delivering compelling science-based messages that engage and empower audiences. Melissa Joy Dobbins, MS, RDN, CDE, has no relevant disclosures to report. She has certified that no conflict of interest exists for this program. View our disclosure policy.